Ok... unfortunately this forum doesn't have the revenue that Facebook has, and as a result uploading your pictures to this forum is VERY, VERY limited!!! 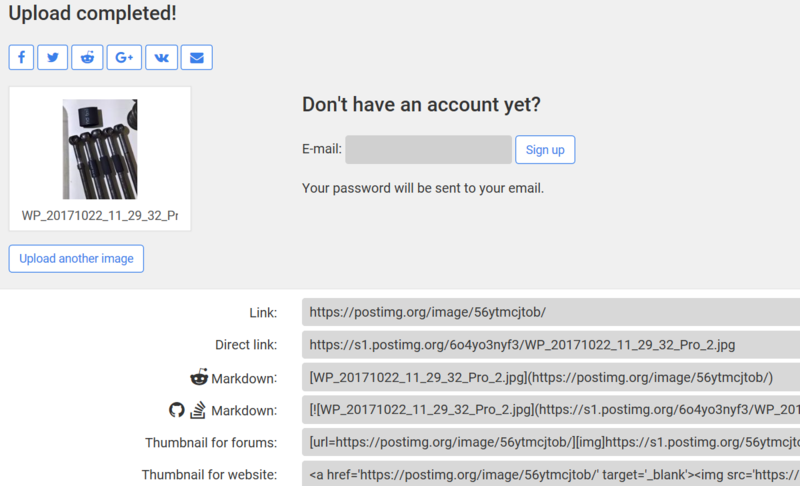 So... if you wish to include pictures in your posts, it is recommended that you use an image hosting site and then use the [img][ /img] BBCode to link them into your post. If anyone knows of any good image hosting sites that they use and recommend, please don't hesitate to post a link in this topic.... it might be useful to someone. Ok.... I'll start it off with the one I frequently use. With Photobucket now a paid service, I see most of the pictures that were for a long time linked in topics on this forum are now dead images.